The time has come. 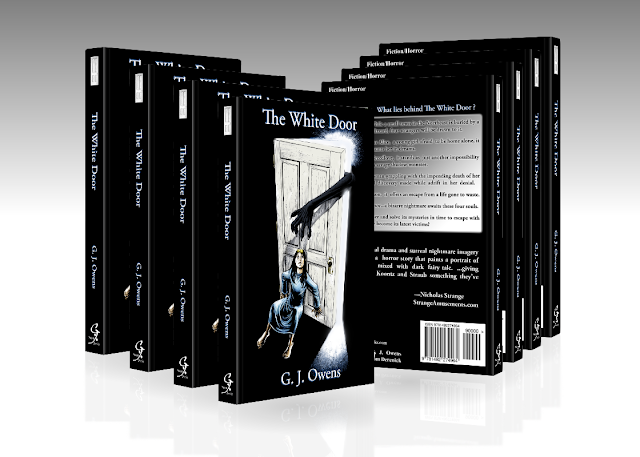 My novel of suspense and horror The White Door is now available to order online. You can use the links below or visit my eStore. The Kindle version of the book will be available for purchase and download on Tuesday, October 15th. Read the entire Prologue to get a taste of what to expect. Alice Simpson is an eleven-year-old girl much like any other, except for the ever-present specter of her tragic past. Her single mother works hard to provide for Alice, which means sometimes being home alone. That is when the nightmares come. Following just such a night, after a blizzard has left behind feet of snow, the three strangers who passed in and out of Alice's life will be drawn into her nightmare world…and through The White Door. They all have their own reasons, their own motivations, to enter…The White Door. What awaits them there not even little Alice Simpson knows, but together they must find the answers that will lead them through the nightmare world and back to the one they left behind. Alice is the key, but can they unlock the mysteries in time to escape with their lives? First Review of "The White Door"